Friends of Brilliant Silk, manufacturers of hand painted pure silk and velvet garments. The Lodge was recently awarded a 5 star rating by AAAT. The only 5 star accommodation in the Milton, South Coast area! Cats Animation is responsible for the Web Design, Graphic Design, and Videography for our four websites. 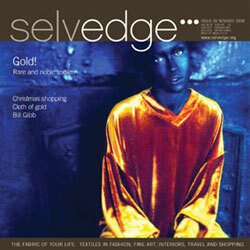 Selvedge Magazine offers the world’s finest textile photography, unparalleled design and peerless writing.